Weekend Coffee Share 21st January, 2018. You’d better hold your horses and psych yourself up. We’re not having coffee this week. Rather, we’re piling into the dog mobile and heading off to Dog Beach. I hope you’re feeling brave, because you’re taking our 6 month old Border Collie x kelpie pups, Zac and Rosie. They have such raw energy, that you could end up flying along behind them like a kite. On the upside, just think of all the energy you’ll burn off! Meanwhile, I’ll take Lady, but I will give you a hand. Dog Beach: my daughter inscribed this with a stick in the sand. This week’s been a bit of a struggle for me in some ways. I’ve still been battling The Cough, which I’ve now christened “Fergus”. No offence to anyone named Fergus, but it sort of sounds like wheezy creepings within my lungs. I went back to the doctor again and am on another round or two of antibiotics, but am finally on the mend. Enough to shout a yahoo, but not quite enough to leap in the air yet. As you could well understand yourselves, something like a cough or cold which is chronically annoying but not necessarily serious, can still be a pain in the neck. Moreover, you still feel you have to keep doing life and stuff, while feeling entitled to your own private nurse and a good strong dose of TLC. I also want to be a part of life and do things with my husband kids, family and friends and not be shut away in the house all the time. 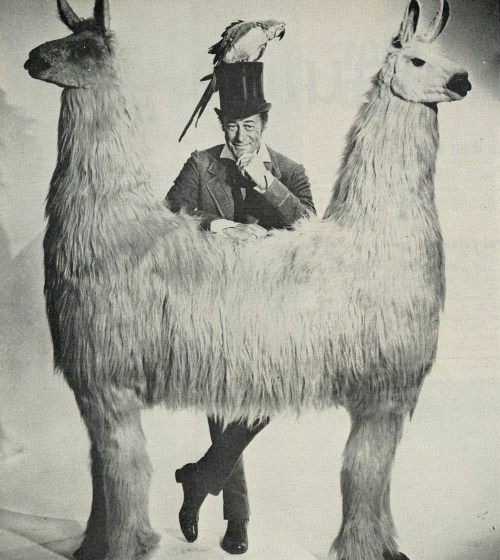 So, I feel like I’ve swallowed Dr Dolittle’s classic Push-Me-Pull-You and it’s been hard to juggle it all. Both of the kids have been away at different camps this week. Our daughter was on a Young Carers Camp at Camp Breakaway and our son has been away with scouts. While you’d think this would’ve given me a breather, I still had to provide some transport and our daughter had to pop back for a dance workshop. So, there was more driving. Packing for Scouts, was also an ordeal. They provide such easy to follow check lists, and yet the kids inevitably leave something behind at both ends. Trying to get His Lordship’s bag packed was also like pulling teeth. Indeed, I’ve seen him more compliant going to the dentist. As they say, never work with children or animals. Indeed, it was quite a deal piling all three dogs in the dog mobile with three humans tonight. The pups were so exuberant. Zac even ran over the rocks at a sprint, and I could see how these dogs could walk over the backs of sheep. They’re unstoppable. Meanwhile, Lady has this way of surruptitiously wandering off, and at one point was heading for the sand dunes, which are known to house rabbits and other critters. This area runs up to the road and as Lady has zero traffic sense, Geoff had to bolt after her. Meanwhile, Rosie started to follow Lady. Humph! Out came the leads! By the way, I almost forgot to mention that after dropping my daughter back at camp, I went on a bit of a detour. Indeed, I am the Detour Queen. The camp was on the coast about two hours North of Sydney and there are some wonderful beaches up there. So, I puttered down to Budgewoi where I had half a dozen battered prawns for lunch and then spotted a sign for Norah Head. My friend’s family had a holiday house there when I was at school, and I still remember a few very special birthdays in the sand dunes. Those sand dunes were revegetated years ago and have in effect disappeared. However, the lighthouse is still standing. No one’s buried that along with my youth. Norah Head Lighthouse, NSW Central Coast, Australia. With school going back in a week, I’ve been working desperately hard to get the house sorted out. However, progress took a huge step back in a sense today when we finally got the Summer clothes down from the roof. I have been known to frequent the local opportunity (or thrift) shops on a rather regular basis and have spotted more than the odd bargain, especially when it comes to my daughter. She could become a jetsetter and have what looks like a year’s worth of outfits without spending a cent. However, her wardrobe couldn’t possibly house all of this, so we’re having to do a cull and I’m thinking garage sale. Meanwhile a Mt Everest or two of clothes is choking up the loungeroom and my husband’s peering through fabric and crates to watch the cricket. It’s become very clear that never of us need to go clothes shopping for a very, very long time. On the other hand, there’s some scope for me in the shoe department, especially after Rosie ate my favourite shoe for lunch. They’re nothing glam. Rather, they’re shoes for people who work on their feet or need added support. Or what my daughter condescending refers to as “granny shoes”. But they worked for me and sensible shoes is where I’m at these days. Speaking about fashion, it’s an exceptionally rare moment that I even think of fashion. However, I was getting to the point of shooting The Cough, and spotted a very glamorous Vogue magazine and decided buy it and stick my face over the top. I haven’t gotten around to that yet but here’s the photo and perhaps it can ignite a few dreams of your own. I’m getting more and more interested in fantasy these days. Reality is over-rated. Reality is only limited by your imagination! As I’ve been reading back over this coffee share, I’ve detected a note of melancholy and wondered whether I should zoop it a bit bit. Add a bit of razzle dazzle and make it more positive. But, we don’t have to be all happy happy joy joy all the time and sometimes we do just need to move into what I’ll call a minor key, before we can reach the high note. So, how was your week? I hope you’ve had a good one. Please let me know what you’ve been up to in the comments. This has been another Weekend Coffee Share, hosted by Eclectic Alli , Here’s the Linky Come on and join in! We’d love to have you along! This entry was posted in Chronic Illness, dogs, Health, Parenting and tagged Australia, chronic health, decluttering, dogs, fashion, flu, holidays, mom, mum, travel, vacation on January 21, 2018 by Rowena. Weekend Coffee Share 14th January, 2018. If you were to come over to my place for coffee this weekend, I’d be apologizing for the preponderance of crates, and random flotsam and jetsom all over the loungeroom , and recommend we head out for coffee today. I’m sure you know how it is. Once you let all that compressed clutter loose, you have a monster on your hands and it’s a massive effort to divide and conquer and finally get rid of the piles. It feels like this is all I’ve been doing in January, but that isn’t quite the truth. At least, I hope it’s not. What a way to spend the Summer holidays! Just in case you’re living in the land of snow and ice, you might want to get changed into something a little more comfortable, and we could well head for the beach. If you’re feeling energetic, we coud also take the dogs…Lady, Zac and Rosie. Zac and Rosie are 6 month old border collie x kelpie pups and they’ll definitely raise your heart rate. They love running and are so sleek, graceful and beautiful to watch speeding through the sand. From this, you’ll understand that they’re off the leash and truly able to let themselves go. Fortunately, they are well attached to us and haven’t disappeared chasing a seagull down the far end of the beach. It happens often enough down there and it is quite a challenge to retrieve your charge. .
We’re not planning to foster any new pups at the moment. The new school year starts in a fortnight and I’m working flat out to get the kids and the house ready for the new school year. Can we get it sorted this year? We’re in much better shape than previous years, when we’ve arrived back from holidays the night before and winged it. That was much easier back in primary school, when the kids were younger. Our daughter starts high school this year and that’s all new uniforms and we’ve had to wait for the skirt to come in. Yes, I have made myself a note. With so much going on, I’m sure my brain’s run out of RAM. I don’t know if you’re into research at all. However, as much as people talk about being focused to succeed, research is more like following a random goat trail through the wilderness. That said, you need to leave some flags, markers or pebbles along the track, so you can find your way back to the fork in the road where you darted off. This week, I’ve dug out my research on the Johnston’s of Islay, which I haven’t touched much for the last 15 years. This is an exploding file and I’ve achieved quite a lot on this line. Yet, there were still quite a few deadends all those years ago, which were worth revisitnig now that so much material is available online. Of most general interest, the Johnstons of Islay were whisky distillers, and dare I suggest, heading back into the not so dark ages, that they were whisky smugglers as well. Now the story is really starting to get interesting, especially when you start hearing about distilling operations concealed in deep limestone caves. No pirates required. These were my ancestors. By the way, the Johnstons founded Laphroaig and Tallant Distilleries. I’ve never been to Islay and a trip isn’t on the cards any time soon. So, I’m doing my best to try and get a feel for the place. Part of that, as an Australian, is getting my head around what it’s like to live in a small island community, when we live on an island CONTINENT…a land of sweeping plains. 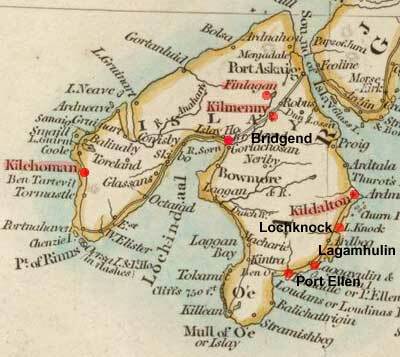 Above: Map of Islay, Scotland. Ireland is to the South. Trying to get some appreciation of Islay’s size, I did a bit of a comparison. Islay has an area of 619.6 km² Now, here in Australia, we think Tasmania is small. It’s also an island and Geoff’s grown up there and so we have a reasonable understanding of what it’s like to live there, adjcent to the Australian Mainland, and infamously being left off the map. Moreover, when we were taught to draw the map of Australia, I’m pretty sure that Tassie went into a one cm gap. That’s small. It’s much larger when you get there and realize there’s a hell of a lot squeezed into that deceptively small space. However, compared to Islay, Tassie’s a giant…a whopping 68,401 km². Not a useful comparison after all. Even Bali’s more than double it’s size at 5,780 km². This leaves Singapore being the closest size comparison, measuring in at 719.1 km². 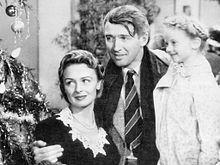 Aside from chasing whiskey smuggling ghosts and trying to get ready for the new school year, I did watch a great movie…It’s A Wonderful Life. I hadn’t heard of it before but it was on display in the supermarket and I’ve been enjoying re-watching my stash of DVDs, some of which, have never made it out of the plastic. Have you ever seen the movie? Despite my ignorance, it’s considered a classic Christmas movie and one of the most watched American films. Well, I’m Australian so maybe that’s why I haven’t seen it. Or, perhaps I’ve just been living under a rock. ore likely, I was out celebrating Christmas, and not stuck at home watching the box. After all, Christmas is in Summer here. To be perfectly honest, I didn’t focus on the Christmas aspects of the film. I was more interested in the plight of George Bailey who is among the town’s brightest and can’t wait to leave this one horse town and explore the world. He has big dreams of world travel, going to college and he worked dime by dime to put the money away, but there was the competing pull of the family business and helping people out. This is a pull I relate to myself. The need to be here and look after the family versus writing, travel and becoming all that I could be in myself, which could very well come at a high price. Relationships versus achievement? Do we have to make a choice? Or, can we have it all? That, I believe, is one of the great questions of our generation. Pop: I know it’s soon to talk about it. George: Oh, now Pop, I couldn’t. I couldn’t face being cooped up for the rest of my life in a shabby little office…Oh, I’m sorry Pop, I didn’t mean that, but this business of nickels and dimes and spending all your life trying to figure out how to save three cents on a length of pipe…I’d go crazy. I want to do something big and something important. Pop: You know, George, I feel that in a small way we are doing something important. Satisfying a fundamental urge. It’s deep in the race for a man to want his own roof and walls and fireplace, and we’re helping him get those things in our shabby little office. George: I know, Dad. I wish I felt…But I’ve been hoarding pennies like a miser in order to…Most of my friends have already finished college. I just feel like if I don’t get away, I’d bust. George: You see what I mean, don’t you, Pop? Pop: This town is no place for any man unless he’s willing to crawl to Potter. You’ve got talent, son. I’ve seen it. You get yourself an education. Then get out of here. George: Pop, you want a shock? I think you’re a great guy. [to Annie, listening through the door] Oh, did you hear that, Annie? Annie: I heard it. About time one of you lunkheads said it. [to George] Look at you. You used to be so cocky. You were going to go out and conquer the world! You once called me a warped, frustrated, old man. What are you but a warped, frustrated young man? A miserable little clerk, crawling in here on your hands and knees and begging for help. Anyway, I clearly enjoyed the movie and got a lot out of it. Well, it’s Sunday night here and I have one pup chewing a pencil to bits and the other up on my lap. He’s managed to cohabitate with the lap top and is draped over the right arm of the chair while the laptop is perched on the left with a good gap from my cup of tea. This has been another Weekend Coffee Share. Eclectic Alli is hosting a coffee share and Here’s the link up. Come on and join in! We’d love to have you along! How has your week been? I hope you’ve had a great week and I’d love to hear what you’ve been up to in the comments. This entry was posted in dogs, Parenting, Travel and tagged A Wonderful Life, dogs, geography, happiness, Islay, Johnston Family History, Laphroaig, meaning of life, movies, Tallent Distillery, travel, whiskey on January 14, 2018 by Rowena. Welcome to Another Weekend Coffee Share & A Belated Happy New Year! How was your week? I hope you’ve had a good one and a great start to the New Year. My week could best be described as “The Cough”. I don’t know what possessed The Cough to use my lungs as a BnB, but surely there’s somebody closer to the beach who could have provided ocean views? Our place is a few blocks back. An easy stroll. That said, the cough is so virulent it could reach the beach from our place in an instant. BTW, I”m not exactly sure what’s causing The Cough. I took some precautionary antibiotics, but I have fibrosis in my lungs, a “complication” from the auto-immune disease. I only have 60% lung capacity as a rule so the slightest irritation to the lungs, is more noticeable and potentially serious. meanwhile, the dogs are complaining because I’m a better barker. I’m also thinking the antiobiotics might’ve upset the balance in my stomach and the cough is more about heartburn. Anyway, enough about the Cough. Coughs are like serial killers. They’re publicity craving sponges, and you don’t want to fuel their narcissistic demands. Just before Christmas, Geoff and the kids drove up to Queensland for a family wedding and I stayed at home to tend to the coughs and mind the dogs. It was the first time since we’ve been dating that he’s visited his family up North without me, and as much as I wished I’d been there, I also think it was good for them to spend time with Geoff’s people without me there as a distraction for a change. As a special treat, Geoff took the kids to Warner Bros Movie World on the Gold Coast with their cousins. Apparently, it’s the Warner Bros version of Disneyland. Not having been there, I’m harranging the rest of the family for details. They, on the other hand, are more interested in playing Minecraft. Don’t they understand that it’s feeding time at the blog, and that they have a moral and social obligation to cough up! Not ust to make their mother happy, but also to promote Australia and encourage more visitors. Obviously, not. Yet, after much heavy-handling, I did manage to extract a few spartan details about riding the Scooby’s Spooky Rollercoaster. They were telling me about sharp twists and turns, which would have you holding onto onto your false teeth. Then, they tell me about speeding down a hill backwards, which would have my own teeth falling out. It took quite a lot of prodding, to actually find out that the Spooky Rollercoaster is an indoor ride, and is actually in the dark. Yikes! However, theat was not enough to deter Geoff and our son from going on the DC Rivals Hypercoaster. That either takes courage or insanity and both could apply here. They also went to the Macadamia Castle at Knockrow, located in the hinterland behind Byron Bay. I just happened to call them while they were there feasting on pancakes at the cafe. I had a bit of a moment then, because we usually go there as a family and we’ve been taking the kids there for around ten years. Some years when we’ve had a few trips up, we’ve gotten to know the keepers and had such a personal experience of the place. Even though the kids are getting older, they’re not too older for the Castle and still loved interacting with the animals. Speaking of animals, I did hear that they had a few close encounters with snakes at the farm. I prefer not to think about that, although while I’m there I try to remember to watch where I’m walking. Snakes are far from tourist hype in these parts and not uncommon. Without the family at home and having a break from all our activities, I’ve been amazed at how much I’ve got done at home. While it’s very boring to say you spent the Christmas holidays cleaning the house when you could be at the beach, starting a new year has inspired, dare I say driven me, to sort out the accumulating piles around the house and return to bare earth. With the rest of the family out of harm’s way, I booked a council clean-up and 6 bags of rubbish went along with quite a stash of miscellania. It felt so good. Yet, it was only the beginning. However, my time alone at home wasn’t all work. I also got stuck into some reading. I’ve been reading a gripping trilogy by Brendan Graham, who also wrote the lyrics for You Raise Me Up. I’d met Graham at the Irish Famine Commemoration Day in Sydney and he came across as a warm, gentle man. Through his books, I’ve appreciated that he’s also a thinker. A man who asks questions and doesn’t just accept the status quo, which struck a chord with me. If you are a writer interested in the source of creative inspiration, I recommend you read this interview. I also managed to finish Tim Harford’s: Messy: How to be Creative & Resilient in a Tidy-Minded World. I’m actually disgusted with myself that it’s taken me so long to finish what I consider to be one of the best and most useful books I’ve ever read. Somehow, I stopped with about 30 pages to go and didn’t get back to it. Part of the reason, is that I haven’t caught the train for awhile, and that’s my preferred reading location. Along with that, there’s also been all the end of year stuff, which has kept me right away from my teetering book pile in general. Harry Potter is quite different to what I’d expected with complex characterization and moves at a delightful, fast-pace where you’re constantly turning pages and looking forward to the next one. What I haven’t picked up through my casual glances at the movie, was that Harry spent his early childhood as the bullied underdog, living with his aunt, uncle and horrid cousin, when within Hogwarts circle, he was revered as a a hero. This, at least to me, adds quite an interesting dimension to the plot. Ramps it up. I guess this plot, or what I’ve uncovered of it so far, is about Harry finding himself, when everyone around him already knows. That is intriguing because most of us would like to think we know ourselves better than other people, but i guess that isn’t always the case. Given the extreme heat and the cough, I’ve also been getting stuck into my research. This moves around a bit, but I’ve made great headway. While I’m still researching the Irish Famine Orphan Girls from the Midleton Workhouse who came out to Australia, I ended up revisiting the McNamara’s from County Clare and moving back onto the Johnston’s. The Johnstons have been a gripping area of research. My ancestors on that front were whiskey distillers on the island of Islay, Scotland and owned Tallant Distillery. The brother and his son, Donald and Alexander Johnston, went on to found Laphroaig Distillery. I’ve never been to Islay, but I did find a fantastic blog which has almost taken me there and I’m grateful for that. I we’re always saying it’s a small world, but it’s not so small when you’re trying to visit somewhere on the other side of the globe and trying to finance it. By the way, while we’ve been chatting, the temperature outside has soared. The Ashes Cricket test is on TV and they’re saying it’s now 41°C/ 106°F in the shade and 50°C on the field and the pitch temp is 55°C. Personally, I reckon the cricket should be called off in weather like this, but it appears the cricketers are made of tougher stuff than I. (Humph! You could say that. If a red cricket ball was heading my direction, I’d duck. There’s now way I’d even think about catching any cricket ball, let alone one moving that fast. BTW, the Aussies are winning but it looks like England is trying to stretch it out for a draw. That’s the full extent of my knowledge of the cricket. Meanwhile, the dogs are all enjoying the air-conditioning and snoring away. We’ve ramped their training up a notch now that Geoff and the kids are home and have been training them on the lead. Thy need to be able to walk on a loose lead without using interventions like a Halti collar which has been our go to in the past. Perhaps I’m deluded, but I’m thinking we can harness puppy power and produce a pair of easy walkers. Lastly, I know we don’t usually advertise the unwanted critters we find lurking in our homes, but last night Geoff finally caught the rat which has managed to elude multiple traps and three dogs. Lady’s been pretty keen to hunt it down, but unfortunately couldn’t climb up the bookshelf. The pups ran away and hid and I’m not going to dob myself in on that front. Dealing with the semi-dead rat was definitely a “Geoff job”. Well, that’s enough from me for now. How was your week? I’d love to hear from you! This has been another Weekend Coffee Share. Eclectic Alli is hosting a coffee share. This week’s share is here. and the link up is here. Come on and join in! We’d love to have you along! This entry was posted in Australia, Chronic Illness and tagged dogs, family history, genealogy, Gold Coast, Harry Potter, history, ireland, Islay, Laphroaig Distillery, Midleton, Movie World, Scotland, travel on January 8, 2018 by Rowena.